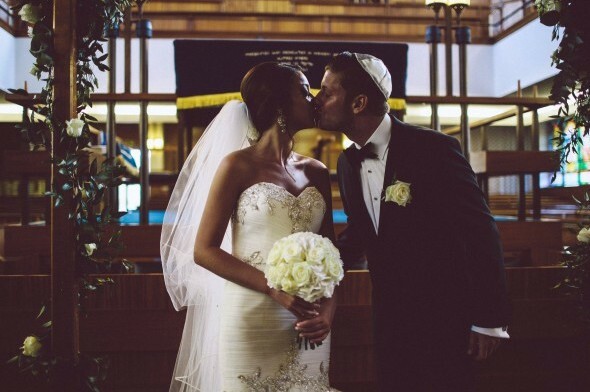 Our New York bride and Jewish groom certainly went for the ‘wow’ factor when planning their special day, crystals are a girls best friend. 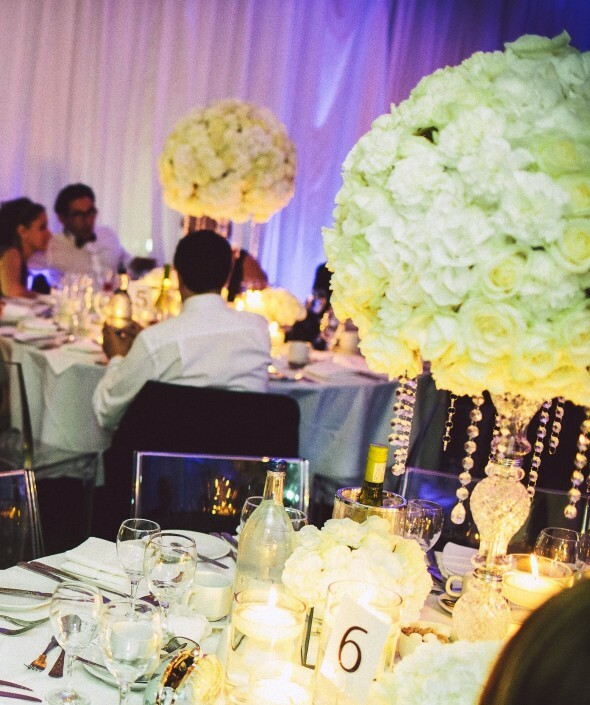 The table centre-pieces chosen were incredible exciting to make, cream and white hydrangeas, white carnations, white and cream roses arranged on top of crystal candelabra in a round shape posy…heaven! The couple married at the gorgeous Orsett Hall in Essex. 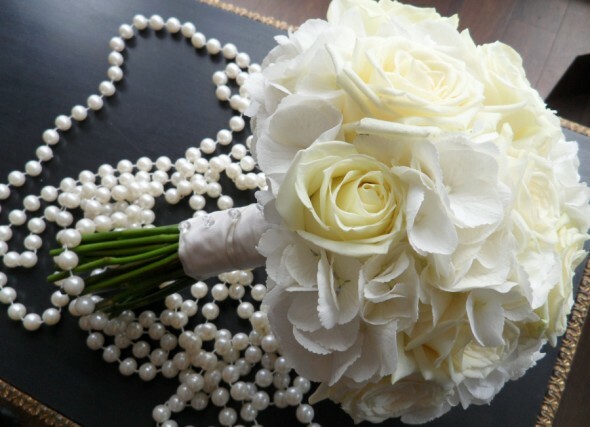 Our bride’s bouquet was elegant and classy with Naomi cream roses and white hydrangea. Six hundred white hydrangeas and eight hundred cream roses were used to create a stunning romantic atmosphere, with thirty five mirrored cubes and ninety four floating candles!! Amazing! It was a real honour to be part of this special day. Orsett Hall specialise in cultural weddings and recognise that a wedding actually celebrates two peoples heritage and individuality. Whatever culture your wedding theme takes, including Jewish, Christian, Indian, Turkish….we are more than happy to cater to your needs. Please give us a call to book your free wedding consultation with us.